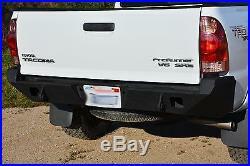 05-15 Toyota Tacoma REAR Bumper. 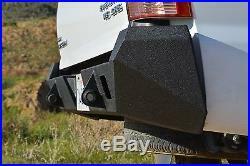 This bumper is a 1 piece design. 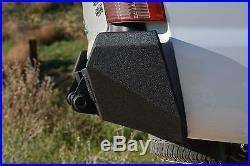 The bumper is powder coated a beautiful textured black color and comes fully packaged to avoid damage to the finish. 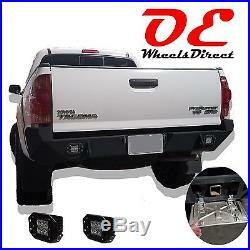 Uses factory mounting hardware and the 2 D-Rings and lights are included! 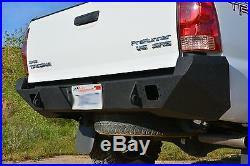 This bumper provides great clearance for the rear of the Tacoma and even provides a lifted look without a lift. 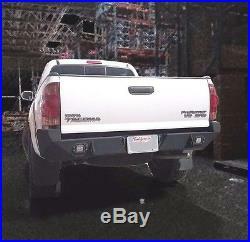 The Truck in the photos has NO LIFT. 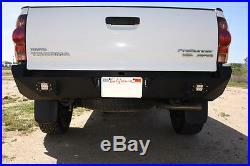 The bumper gives the truck a much more aggressive stance with stock tires and wheels. 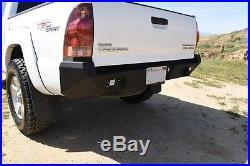 Requires aftermarket hitch to retain towing capability. 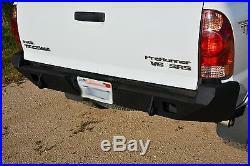 Does not come with license plate flip kit. Note: We have several warehouses across the country where we stock our product. 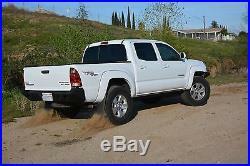 The item "Toyota Tacoma 05-15 Rear Bumper (All Models) LED Holes Offroad Steel D-Rings" is in sale since Wednesday, June 15, 2016.